Mini Review – Ryse: Son of Rome. 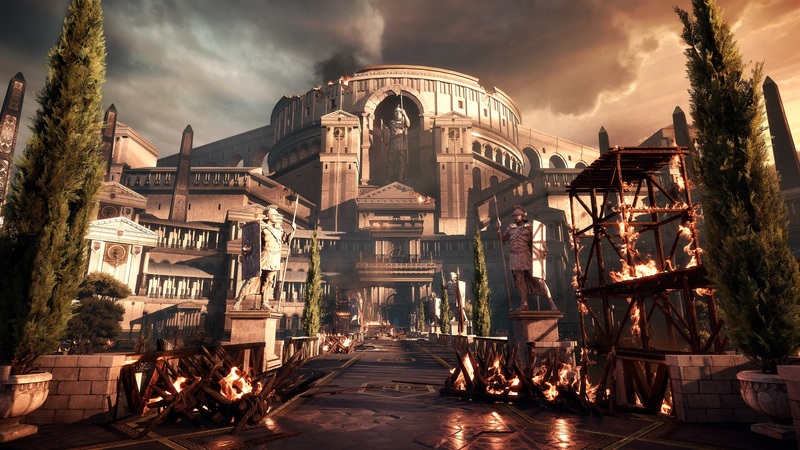 Crytek’s Ryse: Son of Rome came in for a lot of flack before it was even available to buy. 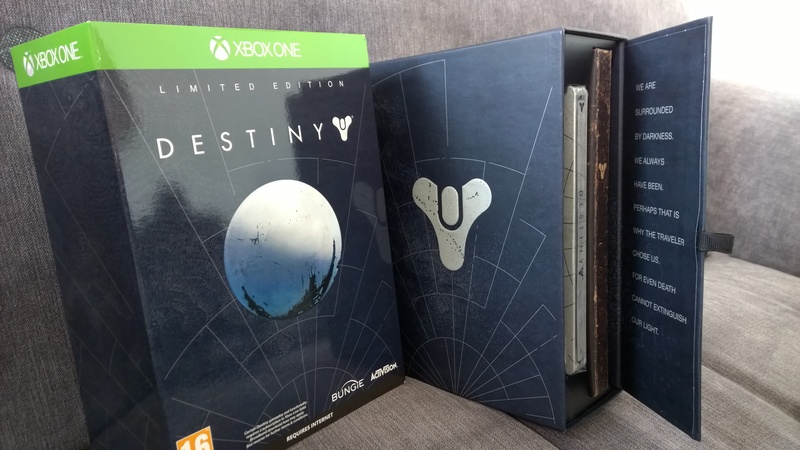 Firstly, it was an Xbox One exclusive, and that was enough to tarnish the game in the eyes of many. Secondly, it was from Crytek, a development studio that some feel prioritise graphics over all else, while others believe the team don’t know how to end a game. And then there was that E3 reveal that saddled the game with the reputation of being a QTE fest. While not entirely undeserved, it seemed clear to me at the time that these quick time events were simply finishing moves, so I found the uproar a little difficult to take seriously. Still, I had no idea how the game would turn out and early previews were less than glowing – one even likened the game to dialling in numbers on a phone. I decided to add Ryse to my pre-order list after a short demo of the multiplayer gladiator mode at a GAME lock-in, and having just finished the single player campaign today, I’m glad I did. Ryse is the tale of Roman soldier Marius Titus, who returns home just in time to see his family butchered by barbarians rampaging throughout the Eternal City. Marius is taken under the wing of Commander Vitallion of the XIV legion, an old friend of his father who is leading the assault on the barbarians’ point of origin – our fair isle of Britain. Suffice it to say, not everything goes to plan, and Marius stumbles upon a realisation that will eventually lead him back to Rome to exact his bloody vengeance on the true architects behind his family’s demise. The story is pretty standard revenge-tale fare, though it’s handled well with likeable characters and excellent performance-captured acting. 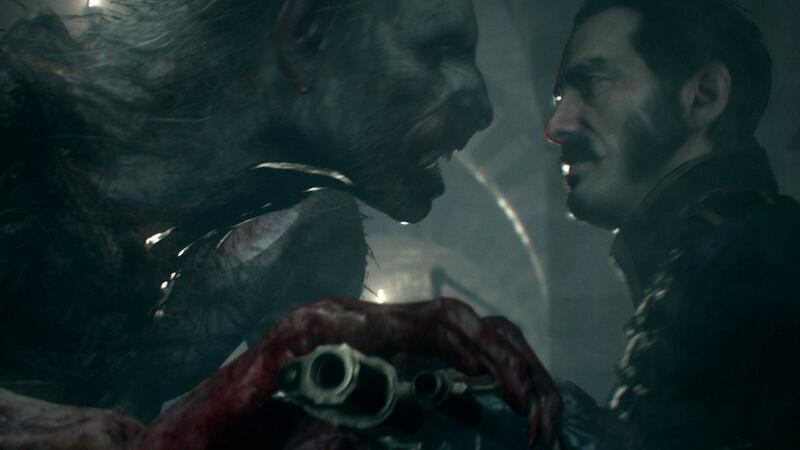 Lip-synching is up there with the best and facial animation isn’t just for cutscenes; if you happen to catch Marius’ face in the middle of an attack, you’ll see his teeth clenched, his face tensed in the moment, and you can frequently see full lip-syncing in dialogue that pops up while you’re playing. If you’re looking for a title to show off your shiny new next-generation Xbox, Ryse is the one. It’s the richest, most lavishly produced video game my eyes have ever borne witness too. Marius’ arms and armour glint convincingly in the equally convincing sunlight that bathes Rome’s marble courtyards in golden shafts. Verdant forests are packed with lush green vegetation that moves underfoot, and real-time reflections in a dingy puddle genuinely stop you in your tracks – I lost count of the number of times I stopped just to pan the camera and gawp at my surroundings. Throughout the campaign I saw no dodgy textures, no clipping, nothing to destroy the perfectly-polished sense of place – everything was solid, pristine. Ryse really is an outrageously pretty game. Crytek’s stated ambition with Ryse was to create the best sword-and-shield game they could, and in mechanical terms they’ve done pretty well. Controls are simple: ‘X’ to slash with your gladius, ‘Y’ to shield bash, ‘B’ to dodge-roll and ‘A’ to deflect incoming attacks, and if you have a stock of spears in your back pocket, you can aim and throw these with the triggers. Combat is strongly timing-based; if you see an attack coming, hit ‘A’ to deflect your assailant’s blade and you open them up to your own attacks, timing your next sword slash or shield bash as the previous one lands to chain your combo together. Once you’ve done enough damage, a skull icon will appear above your enemy’s head – a sign that you can pull on the right trigger to begin the execution animation. These are the QTE kills that we saw in that E3 reveal, though thankfully without the intrusive button prompts. Instead, as the world slows around Marius, the enemy is quickly outlined in colour – yellow for the ‘Y’ button, blue for ‘X’ – and hitting the correct button will grant you perks selected via the d-pad – extra health or xp, for instance. Rather controversially, these QTEs cannot be failed – you can ignore the button prompts altogether and your enemy will die all the same. But you’ll miss out on those perks. It’s a curious choice, but at least if you screw up you still get to see the excellent animations at play. In gameplay terms, it often feels like Ryse is action gaming boiled down to its absolute basics – certainly when you’re one on one with a single enemy. There’s not really anything else to do besides fight hordes of barbarians or fire the odd arrow-turret, and while you often get a chance to form a phalanx and advance on archers, or order soldiers to hold a certain point while you defend another, it still generally ends up in third-person combat. 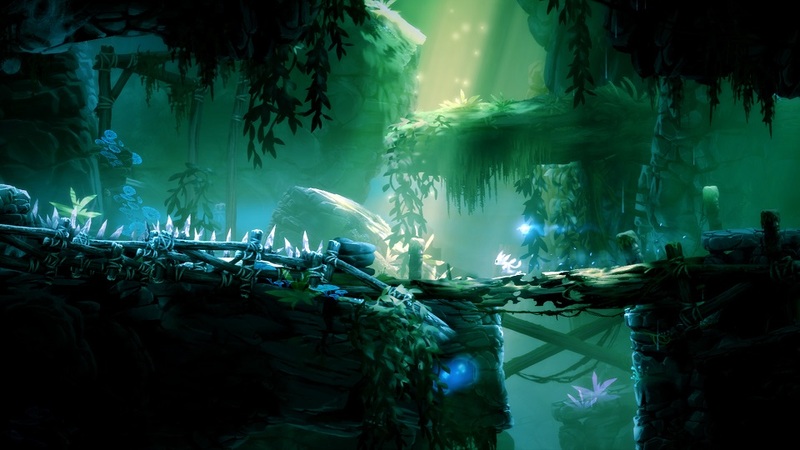 Levels are linear in the extreme, and while that’s not a bad thing in and of itself, the environments are so beautifully-crafted and inviting that you’ll often want to go off-grid and explore a bit. All you can do is keep barrelling forward through the level. There are a number of collectibles hidden in alcoves or dead ends to find, however. Ryse‘s combat really comes alive when you’re battling against a number of enemies at once. They don’t patiently wait for you to dispatch their comrades, instead lurching in while you’re busy trying to thin out their numbers. You’ll often find yourself surrounded, having to watch out for signs of attack from every side, and if you should happen to weaken two enemies and place yourself between them before pulling on ‘RT’, you’ll perform one of the game’s almost-balletic double-executions. The fluidity of animation helps here; no matter what you’re doing, you can always bail out with a dodge-roll, or throw in a hasty shield bash to throw an enemy off balance. It’s a fantastically responsive system. In my seven or eight hours with Ryse, I was constantly reminded of three games. The first of these is Final Fantasy XIII, which is another game that distilled its genre down to the barest essence. As with that game, I enjoyed it for what it was, but wouldn’t necessarily want the next instalment to follow the same design paths. Secondly, combat reminded me of a stripped down version of The Witcher 2‘s sword-play system, as in that game you also had to know not only when to attack, defend and evade but when not to do these things, risking punishment if you read the situation wrong (also, a number of environments reminded me quite strongly of Geralt’s medieval fantasy world). Finally, I was most often reminded of one of the big hitters from the Xbox 360. It feels to me as if Crytek wanted to create the Xbox One’s Gears of War, but with a sword and shield rather than a chainsaw gun. It’s got the same all-out action feel, the same rule-of-thirds camera, the same focus on cinematic storytelling, and that same occasionally bleak tone. Granted, these aren’t elements that are particularly rare in modern gaming, but I couldn’t escape the feeling that Crytek want to be to Xbox One what Epic Games were to the 360. A few days before release, I read a review that likened Ryse: Son of Rome to the first Assassin’s Creed – a title that was a decent foundation for an excellent sequel. I hope Crytek take another shot at Ryse; I thoroughly enjoyed my time with it and I’d like to see the concept reach its full potential. As long as it isn’t simply more of the same, I’d be very happy to see a continuation. PlayStation 4 may have launched a few days ago in the US, but here in the UK we’re less than a week away from the next generation. 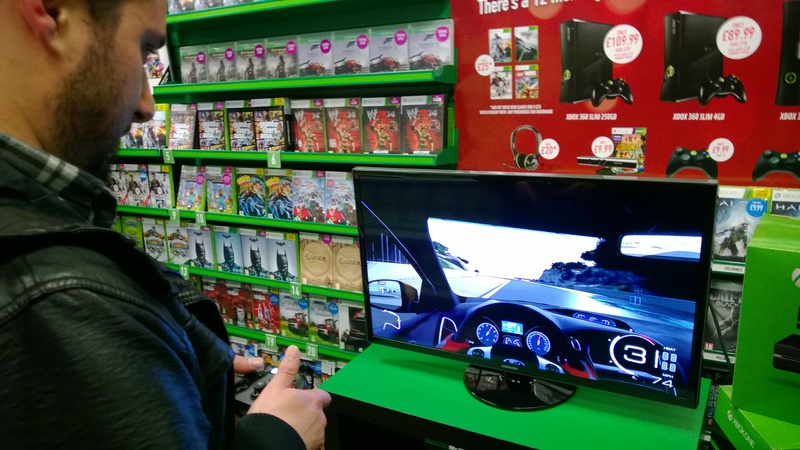 Microsoft’s Xbox One launches in just five days time (with the UK launch of the PS4 set to follow a week later) and in the build-up to the big day retailer GAME has been holding ‘lock-in’ events in their stores for eager gamers to try out the new machine. I attended one on Friday and thought I’d share some thoughts (and pictures!) with you. Arriving outside my local store just before 8PM, a small crowd had already gathered. In total, about twenty people had turned up to try out Microsoft’s new box of tricks (not too surprising, considering the bitter cold), and we queued patiently for around 15 minutes before we could get inside to the blessed warmth, fending off the occasional question of “Oi blud, what game iz you waitin’ for?” with mumbled one-word responses. 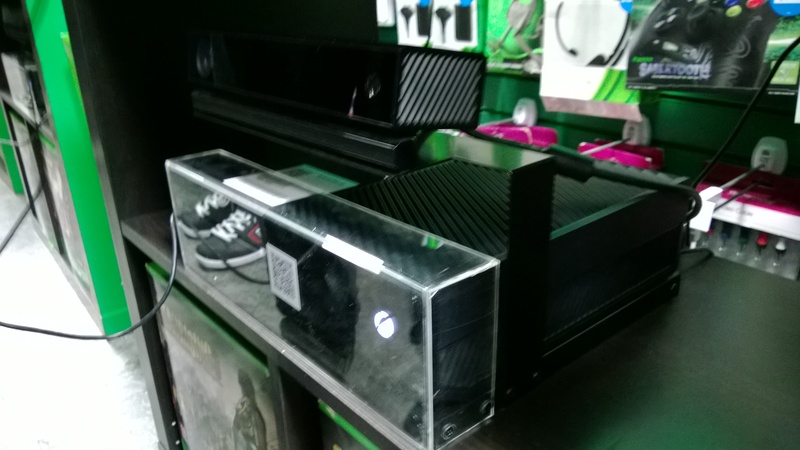 When we finally got inside, we found six Xbox One consoles (complete with chunky Kinect sensors) lined up along one wall. Two were playing Ryse, another two featured Dead Rising 3 and the final pair of systems were running Forza Motorsport 5 and FIFA 14 (which was the only title that allowed a two-player game). We were eager to get to the gaming, but unfortunately we had to first stand through a barely-working slideshow presentation (featuring a few clips of now-ex Microsoft exec Don Mattrick – oops?) while some insipid Nickelback tune played over the store’s speakers. Thankfully, Nickelback was turned off mid-song, but we still had the slideshow to get through. Ten minutes later and we were free to avail ourselves of the next generation. 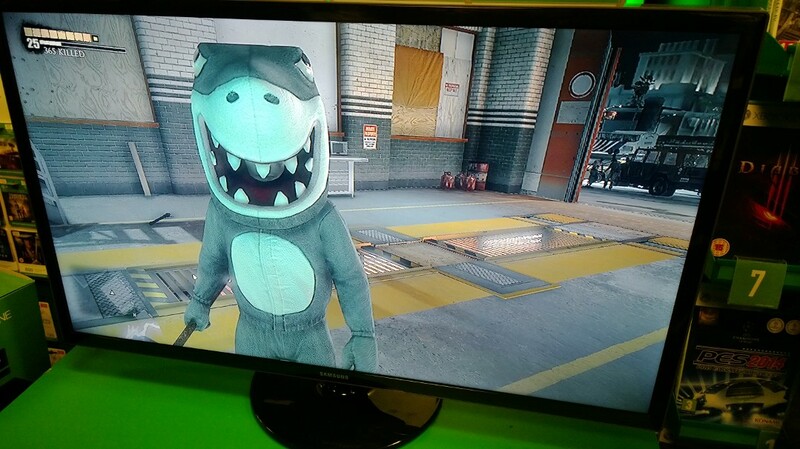 My two friends and I decided to give Dead Rising a bash to begin with. I managed to play the demo twice over the course of the evening, which was handy as I couldn’t manage to figure out how to combine items the first time around (pro-tip: hold RB). I came across a van and a forklift truck at one point and stood trying to turn them into a combo vehicle for a few seconds; generally, I’d just try every button, but having to stand in one place in the midst of a zombie apocalypse isn’t really an option so I had to run away. On my second attempt (having been told how to combine by a helpful staff member), I happened to come across a motorbike parked on a roof terrace by a pool. Quite what it was doing on a roof I’m sure I’ll never discover, but luckily there was a ramp leading off the building so I sped off the edge and landed right next to a steamroller. Yes. I built a rollerhawg. 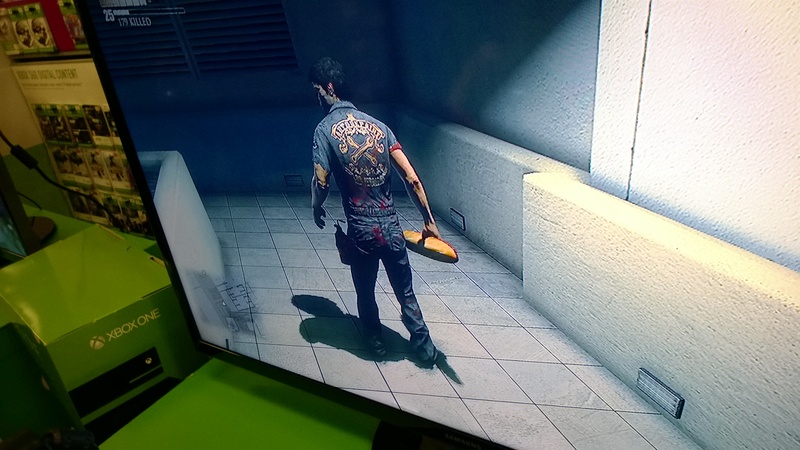 The playable slice of Dead Rising 3 was a timed demo (I didn’t time it myself, but it felt about ten to fifteen minutes in length), and having watched a few videos of the game beforehand, I did notice that some areas that should have been accessible were cordoned off with high concrete walls – I’m guessing we were given a small portion of the world to roam around in. There were also no objectives to undertake, but then it wouldn’t have been possible to complete any in the time given so we got to focus on trying out a variety of weapons and costumes (I managed to dress up protagonist Nick Ramos in a big shark suit, a medieval knight’s suit of armour and a lady’s dress) and try and turn as many of the undead denizens of Los Perdidos into pulp as possible. The rollerhawg had me grinning like an idiot and helped me to amass more than a thousand kills. Also, hitting zombies with a baguette is not very effective. Next up was Ryse: Son of Rome, a game I’ve been rather unsure of. Since it’s reveal at this year’s E3 I’ve thought it looked astoundingly pretty. I also quite like the setting of the game and the fact that Crytek have gone for full-on performance capture, giving the game a blockbuster cinematic look. But I’ve been a bit worried about the gameplay; I think a lot of people got the wrong end of the stick after the E3 reveal when they started to complain about the game being nothing but QTEs, though I thought it was pretty damn clear that these were simply contextual execution animations. So that wasn’t my worry. I simply wasn’t sure it’d be much fun. Thankfully, I really enjoyed the demo. The slice of gameplay on offer was the multiplayer colosseum combat we’ve seen plenty of footage of, though strangely it was only single-player – a little confusing, considering two consoles next to one another were running the same thing. 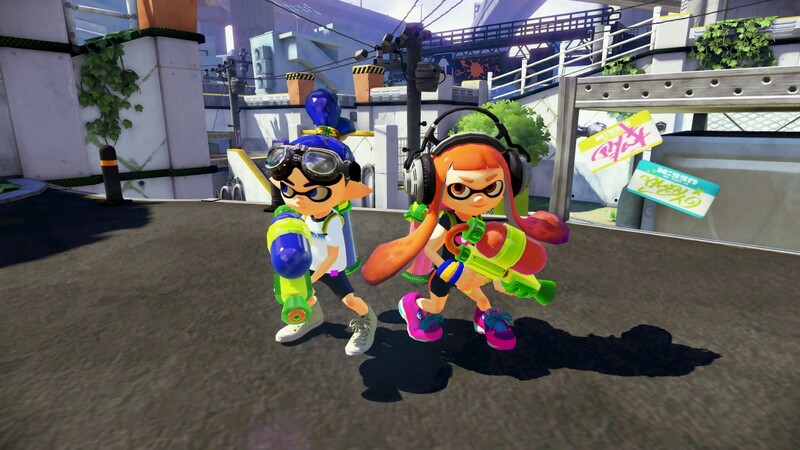 I would’ve liked to try it in co-op with a friend. We were treated to some wave-based combat in a shifting arena that offered some mild objectives (destroy catapults by tipping burning oil on them, kill archers on a raised platform and so on), but the first thing that really struck me is just how beautiful it looked. At one point between waves, I stopped to pan the camera around the colosseum taking in the surroundings, the crowd baying for blood while multi-coloured confetti danced through the air. It was incredibly impressive stuff, much as you’d expect from Crytek, and I can’t wait to see the environments in the single player campaign. Combat is pretty enjoyable, allowing you to settle into a decent rhythm of shield bashes, sword slashes, dodge-rolls and executions. Blocking enemy attacks is timing-based – tap ‘A’ too early, and your avatar will simply knock his sword against his shield in a taunt, leaving you open to attack. Hit the button just as an attack comes in, however, and you’ll deflect the enemy’s blow and instead leave them open to sword slashes. Of course, you can also dodge-roll out of the way if you think you’ll miss the timing, but you probably won’t get an opening in their defences that way. Enemies are quick to surround you and they don’t wait for you to dispatch their comrades before lunging in as Assassin’s Creed‘s hordes are wont to do, so you always have to keep an eye out to see who’s about to take a swipe at you and time your blocks accordingly. When you’ve done enough damage to a barbarian, you’ll see a skull appear above their head. Pulling RT will segue you into an execution animation, with the enemy being outlined in a specific colour to denote a button press: blue for the ‘X’ button, yellow for ‘Y’. It doesn’t seem possible to fail these – missing the prompt seems to result in the execution playing out anyway, just with you receiving a lower score. It’s also possible to chain executions by injuring more than one enemy to execution states and then positioning yourself between them before pulling on the trigger. These sections are all about the grisly, slow motion spectacle and despite the lack of player agency they’re good fun. Whether or not they will still be enjoyable after ten hours remains to be seen however, and that goes for game itself too. I thoroughly enjoyed my short time with Ryse, enough to put down a pre-order, so I do hope the campaign will be engaging across its length. I also think the multiplayer could be quite fun with a competent friend in the same way as most other horde/survival modes. At the very least, I’m sure I’ll enjoy the story, and Ryse is certainly a fantastic graphical showcase for the new system. After hacking through waves of barbarians, it was time to drive a shiny car through some shiny environments in Forza Motorsport 5. I found this beautiful racing game to be the standout graphical showcase of the event – it’s genuinely stunning. I’ve watched plenty of videos of Turn 10’s next-gen launch title and marvelled at the visuals, but it looks so much better in person; the way you can see your car’s dashboard reflected in the windscreen is particularly impressive, as is the way the sunlight plays across the asphalt as you make your way around the course. I raced a bright yellow McLaren P1 around a single lap of Laguna Seca and got to experience those new impulse triggers firsthand. They’ll take a little getting used to, but I enjoyed the precise feedback even if I struggled to stay on the road a lot of the time – I’m just bad at racing games. Forza 5 is one of my launch day games however, so I’m hopeful I’ll get better, and I look forward to seeing how other games implement those triggers. As for FIFA? I didn’t play it. My two friends played against one another though, and I’m happy to say it looked like FIFA. Character models in replays did look rather special though. I haven’t bought a football game in years as I just don’t play them often enough to make it worth the money. Happily, FIFA will be coming free with my Xbox One, so I’ll be able to play those occasional matches without having to buy the game. 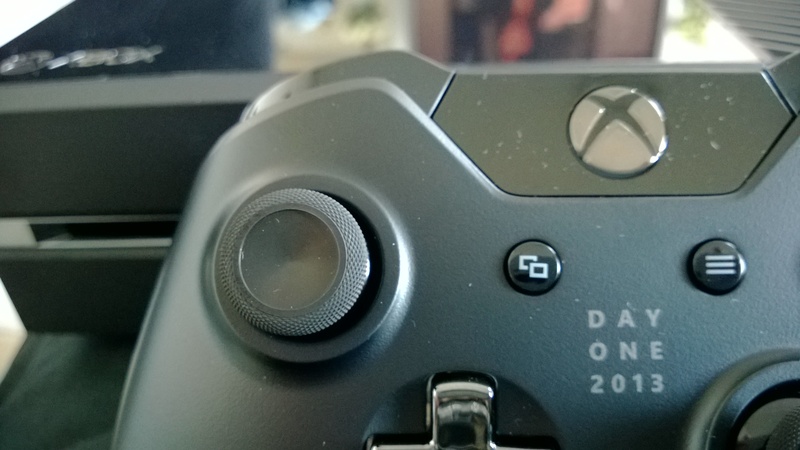 Back in my Eurogamer Expo piece, I noted down my initial impressions about the new Xbox One controller. At EGX, I only managed to use that pad for ten minutes during a bit of Killer Instinct, but at the GAME lock-in I used it far more. My initial reaction hasn’t drastically changed: I really like that controller. It fits well in the hand, I like the sculpted triggers and it just generally feels right, a clear evolution of the Xbox 360 controller. I did mention in that earlier piece that I thought the bumpers might be a bit more of a stretch than on the current pad and that the sticks felt a little loose, but neither of those complaints held true on Friday; while playing Dead Rising 3, using the bumpers felt just like the 360 controller and the sticks felt noticeably tighter than those I used at EGX – either some adjustments have been made or that pad had taken a bit of abuse. Either way, I really, really like the Xbox One controller, and I can’t wait to get my hands on my own one. A quick note on the console’s dashboard: I did try to go to the dash once while Forza was loading, but unfortunately it was the development version that you can see in this picture so I couldn’t do anything with it. Interestingly, going into the dashboard also reset the Forza demo, so I had to wait for it to load again before racing my lap. It’s a bit disappointing, though not entirely unexpected, that I couldn’t try out the full release dashboard for myself, but I guess that leaves something for me to discover on my very own Xbox One when it arrives on Friday. The only disappointment from the lock-in was the lack of Killer Instinct, a game I’ve been itching to play ever since that ten-minute spell at Eurogamer Expo. But again, I won’t have to wait too long to jump back into that on my own system. Overall, the GAME event has made me even more excited to sit down with my Xbox One in four days and get stuck into some shiny next-gen gaming. I can’t wait. In a strange bit of scheduling, both of the final episodes of Ryse: Son of Rome‘s four-part webseries have appeared on Machinima. In episode three, we meet Gannicus, a gladiator fighting in the arena as he regales us with stories of how death has been good to him. Yet now it appears he is up against the vengeful spirit of Damocles that we saw in episode 2. I have to admit, I really enjoyed this episode. It’s well paced, very atmospheric and a little bit brutal. I do wonder what significance it bears to the game’s narrative, but I guess I’ll have to play it to find out. In episode four, we’re back with protagonist Marius as he sits with an older man, presumably his commander. In between images of the sacking of Rome, Marius’ commander speaks of the real heart of Rome, Palatine Hill. He tells the young legionnaire that the day will soon come when he must decide whether he fights for his own honour or for Rome. It’s been a strange, disjointed webseries across these four episodes, and it hasn’t really told us anything about anyone. I’m mildly intrigued to see what importance it may have to the game, but in hindsight I think I would have enjoyed a series of separate, atmospheric vignettes like episode 3 rather than a disjointed semi-arc that doesn’t really go anywhere. But then perhaps I’m unfairly comparing ‘The Fall’ to ‘Forward Unto Dawn’, which had a very definite story arc; maybe the sole purpose of this is to get people intrigued enough in the game to buy a copy. Given the setting, and the fact that, while short, the series has been very well produced, I’d liked to have seen where this could have gone had it been a bit longer. Perhaps we’ll have to wait for Microsoft’s TV productions to see the potential realised.